With his birthday ruined and his home being invaded by evil penguins and other denizens of the Arctic, Donkey Kong and friends must put a stop to them by jumping and stomping their way through dozens of levels. 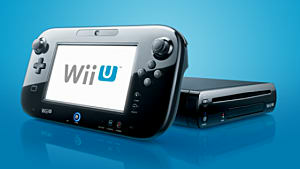 If that sounds familiar, then you were one of the few people who played the 2015 platforming hit, Donkey Kong: Tropical Freeze on the Nintendo Wii U. The excellent 2.5D platformer joins the likes of Bayonetta 2 and Mario Kart 8 in being brought over to the Switch. Just like those titles, the Switch version of Tropical Freeze includes some minor additions, and it's still a great game that's worth being played and added to your Switch collection. 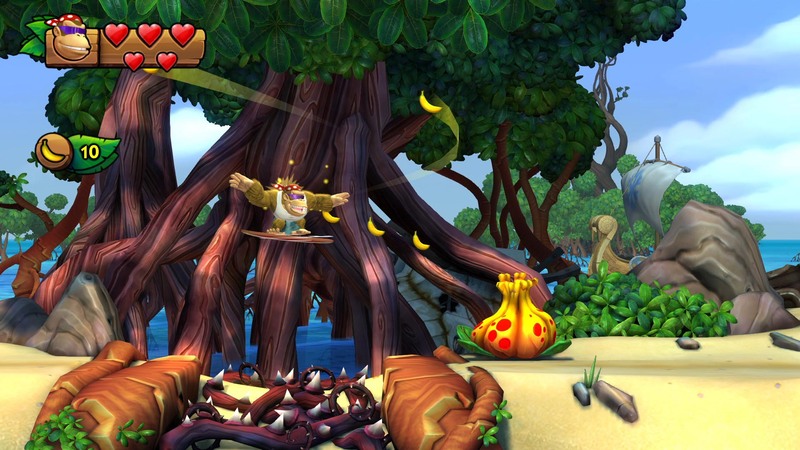 If you've played any 2D platformer, you know what to expect with Tropical Freeze. The jumping and climbing is all here, as well as some other staples of the Donkey Kong Country games, like controlling a rhino and riding in a mine cart. The excellent level design the series is know for is at the forefront. The first world does a good job of easing you in to the mechanics of Tropical Freeze, while each level continually expands upon the various gimmicks that have been shown off in new and exciting ways. You'll be visiting places like beaches, underwater worlds, snowy mountains, and more throughout your adventure, and you'll constantly be surprised by what the game has in store for you. You might think this would all be overwhelming, but the tight controls are the glue that holds everything together, so you don't have anyone but yourself to blame if you miss a jump. Speaking of missing jumps, be prepared for a lot of challenge in Tropical Freeze. Despite the family-friendly look, the game will have you on the edge of your seat one moment, relaxing another, and even pulling your hair out -- sometimes in that order. 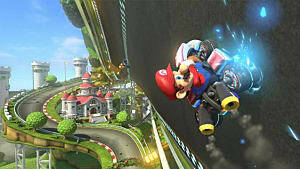 Luckily, the levels and sense of pacing never feel unfair or cheap, save for a few small instances where the game could have done a better job of explaining how to get past a certain section (and some late-game rocket levels). DK also has his pals Diddy, Trixie, and Cranky by his side to aid him. Diddy and Trixie can allow DK to reach further spaces, while Cranky can use his cane like a pogo stick, similar to Scrooge McDuck in Duck Tales. The switch between Diddy/Trixie and Cranky can be jarring, seeing as how differently they play, but you'll get used to it. 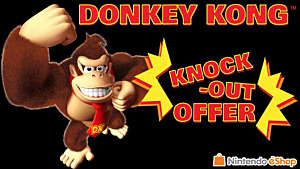 In terms of new content, the biggest new feature is a mode called Funky Mode, in which you can choose to take control of Donkey Kong's pal Funky Kong. He can jump further and hover for a bit, making him much easier to control, as well as take more damage. 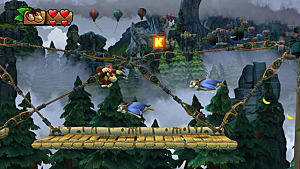 Along with the newest Kong, Funky Mode allows DK and pals to take an extra hit each, and hearts and lives are handed out more frequently to take some of the pressure off during some of the game's more challenging sections (similar to what was done in the 3DS version of Donkey Kong Country Returns). It can be a little too forgiving in some sections (particularly in boss battles), but that doesn't mean it takes away all of the game's difficulty; it just makes things more bearable. Other than the new mode, the big upgrade is the jump from 720p to 1080p when playing in docked mode (handheld is still 720p). It's a much cleaner-looking game, but you probably won't notice it unless you're doing a side-by-side comparison. It's still a great-looking game, with the same great environmental art design (especially in levels that are shrouded by darkness) and texture shading, running at a silky-smooth 60fps. The music is equally pleasing, with series composer David Wise returning to score the game, with mixes of old, classic tunes and new songs that will probably become classics. 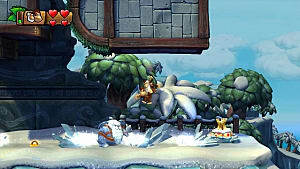 It's easy to recommend Donkey Kong Country: Tropical Freeze if you missed out on it the first time around. 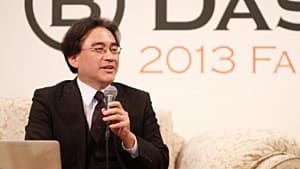 It's a challenging game that rarely feels unfair, and it features the same wonderful level design and variety that's made the series so iconic. 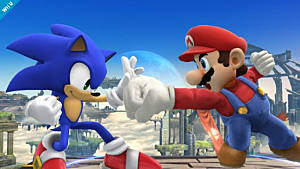 The new Funky Mode is a great addition that makes an already accessible game even more so, without sacrificing much of the challenge. 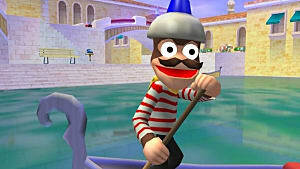 There's not that much for returning players, but it's still the same great game that's worth going ape over. 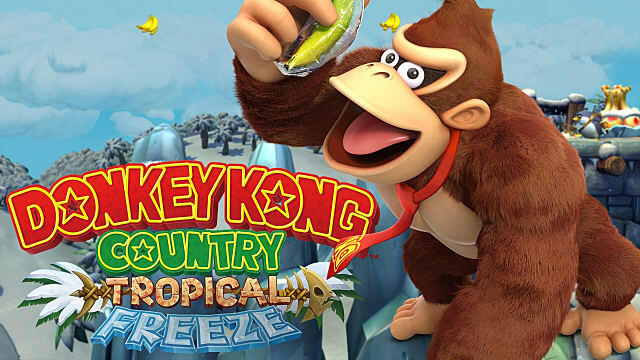 Donkey Kong Country: Tropical Freeze makes its debut on the Switch, and it's still worth going bananas for. 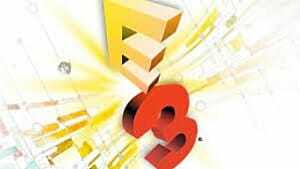 Do The Events of E3 2013 Still Matter Today?